Midlands Breweries Limited Company Marketing and Brands Manager Stanley Mpundu has called on all liquor dealing companies to increase their participation in their corporate social responsibility to communities..
Mr Mpundu said social corporate responsibility is cardinal because there is no company which can not operate without the involvement of the community in which they are operating. He said this in an interview with the Zambia News and Information Services in Lusaka today that helping the less privileged in society in paramount. 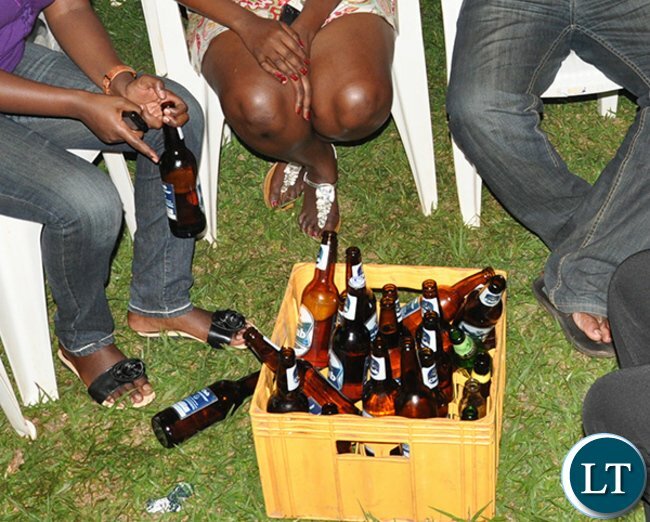 Mr Mpundu , whose company manufactures the renowned opaque beer called Lusaka Beer, also urged the youth to drink responsibly and desist from engaging in violence activities as the nation is headed for the August 11 2016 General elections. He said it is sad for the youth to evolve themselves in illicit dealing once intoxicated because when they are arrested and face the wrath of the, they will end up jeopardizing the future. And Mr Mpundu has further called on the Zambia Police Service to ensure that law and peace is maintained in Zambia before, during and after the elections. Mr Mpundu said police should work professionally and be able to apply the law fairly and firmly to all. No one should be spared when found wanting on the accuse of being whether intoxicated or not as a defense in a court of law, he said.